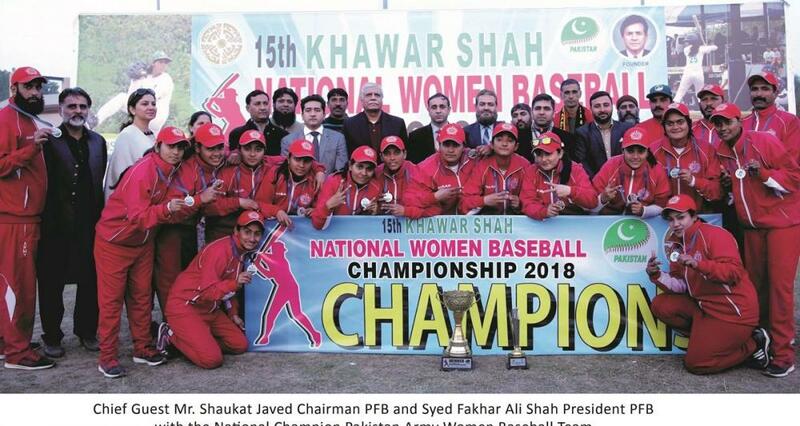 January 10 -　Pakistan Army confirmed as the Women’s Baseball National Champions as they defeated, 13-12, the Pakistan Water and Power Development Authority in a seven-inning final played in Bahria Town, Lahore. The Higher Education Commiｓion of Pakistan (HEC) finished third. Attia Saif of Pakistan Army was declared the best player (MVP) of the tournament. The MVP award is named after the late Khawar Shah, the founder of Pakistan Baseball Federation. Chukat Javed, Chairman of the Pakistan Baseball Federation, was the main guest of the awarding ceremony.